Governor Nyesom Wike’s adviser on Political Matters and Strategy, Barr. Emeh Glory Emeh, has once again reiterated his earlier position that there is no opposition to Governor Wike in Rivers State such that, there is no alternative to the governor in the guber election in 2019. Chief Glory Emeh made this observation while speaking to a Wike support group known as Student Network for Voter’s Mobilisation and Education, who were in his office to seek collaboration in the areas of voter education, mobilization and collection of voters card. The special adviser told his visitors that they were in the right path, and have taken a vital responsibility that is instrumental in the development of democracy in Nigeria, even as he described voters as veritable instrument for ascension to power in democratic governance. “Governor Wike attaches unprecedented premium and value to voters. That is why he has continued to advise politicians not to take the electorates fore granted. “We admonish voters to ensure that they vote the right persons into offices in order to have the right to demand for performance, leading to the delivery of services to the people, also known as dividends of democracy. 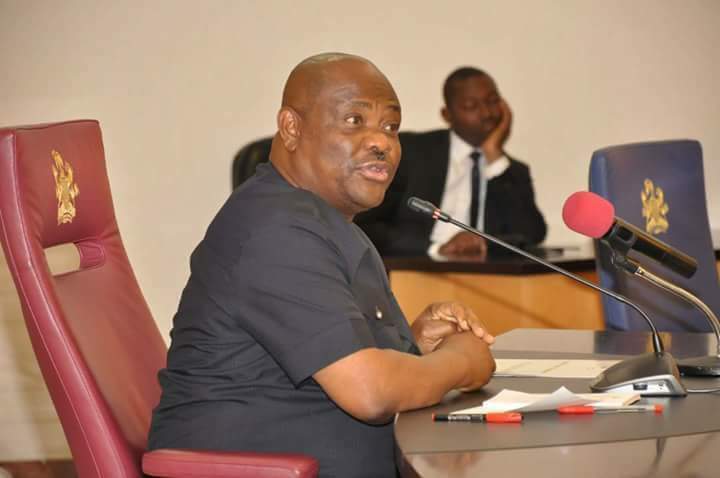 “Wike has already laid a solid foundation for electoral victory for 2019 by the uncommon infrastructural and human resources development in Rivers State such that it will be difficult, like the proverbial Carmel passing through the eyes of needle, for anyone to unseat the governor in the coming guber election in 2019. “We have no difficulty to believe that, even those who are in the opposition, who are benefiting from the performance of Governor Nyesom Wike within three years of his administration, will attest that, in Wike, Rivers people have found a leader that they can trust”, Barr. Emeh explained. Earlier in his presentation, the Coordinator of Student Network for Voter’s Mobilisation and Education, Comr. Ezemonye Chimara, who led the team, said they were in the office of the special adviser to acquaint him with their plans and what they have been doing in the last three months. His words: “The need to increase the tempo of mobilization compelled us to come and see you, and to explain what we have been doing and what needed to be done to catch up with the deadline. “We also came to solicit support from your office in the area of transportation in order to reach out to more Local Government Areas for voter education and need for people to obtain their permanent voter’s cards”. The coordinator of Student Network for Voter’s Mobilisation and Education also thanked the special adviser for the warm reception accorded his team and the good works the office is doing in promoting the efforts of the Rivers State governor, while expressing the hope that God will crown the combined activities of the governor and the Peoples Democratic Party with resounding success as the state prepares and enters into the next era of elections in 2019.